Point2 Homes gives you far more than a simple list of houses for sale. Get instant access to a lot of relevant information about Chaplin Estates, Toronto, ON real estate, including property descriptions, virtual tours, maps and photos. The search results pages also have a wealth of information on Chaplin Estates, Toronto, ON, if you scroll all the way down. 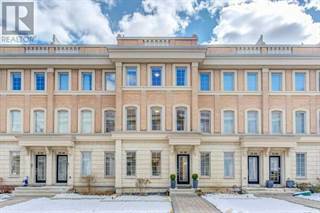 There are 14 houses for sale in Chaplin Estates, Toronto, ON. 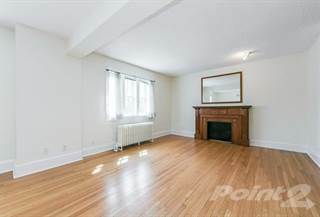 Searching homes for sale in Chaplin Estates, Toronto, ON has never been more convenient. 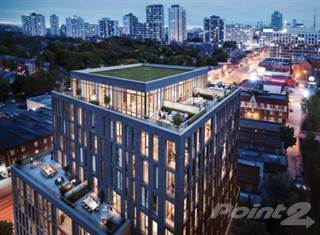 With Point2 Homes, you can easily browse through Chaplin Estates, Toronto, ON single family homes for sale, townhomes, condos and commercial properties, and quickly get a general perspective of the real estate prices. Also, you’ll never miss a bargain if you filter listings based on house price drops in the past six months. Use the map view to find Chaplin Estates, Toronto, ON homes and apartments for sale, based on amenities or city features that you may want close by. You can close in on a specific neighbourhood or area by simply drawing around them with the polygon or radius tools. Stay informed about the latest entries on the real estate market by saving your searches. This way, you get new listings in your inbox, daily or every week, based on your preferences. If you’d like to get in touch with a professional, agents are displayed next to their listings, and they’re easy to contact through the online forms. If you want more options, you can click the Tools tab and Find an Agent, and you’ll get a list of helpful and knowledgeable real estate agents in Chaplin Estates, Toronto, ON. Visit the Point2 Homes blog and you can find up to date expert advice on many markets throughout Canada, regular market reports, neighbourhood scoops in cities throughout the provinces, real estate deals and useful recommendations. 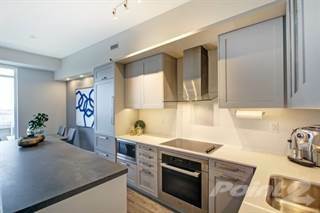 Chaplin Estates is an upscale neighbourhood near the Yonge and Eglinton intersection in Toronto, Ontario. The city’s elite has always sought this part of Toronto out. When you walk through Chaplin Estates, to this day you can be sure that you’re rubbing elbows with some of the best and brightest that Toronto has to offer. Chaplin Estates feels like an upscale neighbourhood in every sense of the word. With the amenities, the homes, the public services and the general environment of the neighbourhood, you know that you’re in a special place as soon as you start walking the streets. The neighbourhood takes its name from the men who originally owned and subdivided the land that it now sits on. The street that marks the southern boundary, Chaplin Crescent, is also named for them. Chaplin Estates runs to Eglinton in the North, Yonge Street in the East and Avenue Road in the West. Chaplin Estates calls out to you when you walk down its residential streets. For many people, a quick visit will be enough to make you aspire to an address in the neighbourhood. However, it also becomes clear that living in this neighbourhood is a privilege that doesn’t come cheap. A quick look at the scale of the homes and the cars in the driveways lets you know that this is a neighbourhood that only certain types of people can afford to buy into. That said, it really is a beautiful place to spend your time. The residential streets are quiet and clean, and the commercial strips along Yonge, Eglinton and Avenue are all bustling without being rambunctious. They have vibrancy and an appeal to them without some of the dodgier aspects that you get on the commercial strips further downtown. 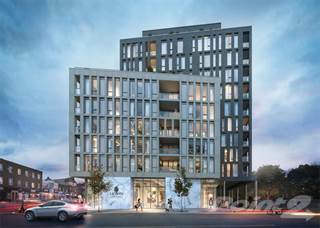 Shopping and dining near Yonge and Eglinton is definitely the entertainment hub for people living in Chaplin Estates. Several great dining establishments can be found on along both those major streets, and the variety is broad enough to appeal to many different tastes. 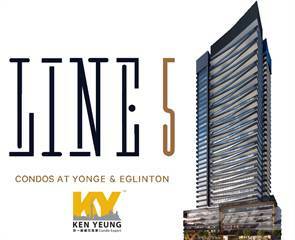 In addition, the movie theatre at the Yonge and Eglinton intersection makes seeing the latest blockbusters a short walk away for the residents of Chaplin Estates. Try the Quince Bistro for a casual Mediterranean dining experience. Jaipur Grille is a great place for a contemporary Indian meal, or Il Sogno for a trendy Italian night out. The Queens Legs on Eglinton offers a quintessential neighbourhood pub experience. If you’re looking for outdoor entertainment, you can find it in Chaplin Estates as well. The nearby parks and paths provide a great opportunity to enjoy the natural beauty of Toronto. Check out the Beltline trail, which cuts through the south end of the neighbourhood. Chaplin Estates is an eclectic blend of what’s old and what’s new in Toronto. Throughout the neighbourhood, you can see reminders of the old-style architecture prevalent throughout much of the southern half of the city. Stately brick houses abound, although with larger lots and more space around them than in much of the more cramped central neighbourhoods. However, you’re just as likely to see new construction, ranging from contemporary houses with traditional masonry exteriors, to ultra-modern architectural masterpieces. There are also condo buildings in the neighbourhood, including a few sky-high towers close to Yonge Street. Living in this neighbourhood doesn’t come cheap. Once you delve into the residential section of Chaplin Estates, you’re greeted with one of the quietest and cleanest neighbourhoods in Toronto. The streets are wide, the yards are very well kept, and if you couldn’t see the skyscrapers a few blocks away you might forget you’re living in a major metropolitan city. The quiet doesn’t last once you venture up to Eglinton or Yonge. Yonge Street is busy no matter where in the city you cross it, and the location of a major public transit hub at Yonge and Eglington means there is a lot of traffic noise. Ongoing construction has also resulted in some dust in the area that should subside once the current projects are completed. Like most of the neighbourhoods in this part of the city, Chaplin Estates is very safe, even by Toronto standards. According to the 2011 CBC Crime Map of Toronto, the neighbourhood is among the safest neighbourhoods in the city, ranking low in most categories of crime. The problems in this neighbourhood tend to be related to breaking and entering or drug-related. Most neighbourhoods that include busy streets like Yonge and Eglinton run into problems in the drug-charge category, simply because of the huge volume of people moving through those streets. There are no public schools immediately within the Chaplin Estates neighbourhood. The closest public school is the Oriole Park Junior Public School which is just to the immediate west of Avenue Road. Just south of the neighbourhood is the Upper Canada College, an exclusive private school for boys. Chaplin Estates has access to excellent public transportation. There are nearby subway stops at Yonge and Eglinton and at the Yonge and Davisville intersections. In addition, there is ample bus service along Avenue Road and Eglinton. Transit access in this area will get even better when the new Crosstown TTC line on Eglinton opens in a few years. Chaplin Estates is a very family friendly neighbourhood. The big yards, wide, quiet streets and spectacular houses make for a neighbourhood that any child would be lucky to grow up in.